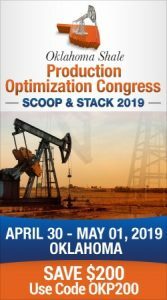 Oklahoma’s rejection of a Vision Tax Fund on oil and gas revenue proved to be one of a handful of energy related issues that died at the ballot box. We told you how Proposition 112 was killed by Colorado voters then Arizona voters said no to increasing the state’s reliance on alternative technology. 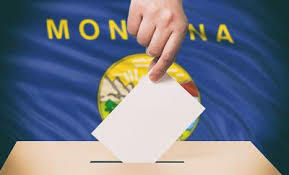 Montana voters also turned aside a measure to extend the state’s Medicaid program by increasing the taxes on tobacco and another to add strict cleanup requirements to new mines. Montana voters rejected the citizens’ initiative that would have increased cleanup standards for companies that plan to open new mines in the state. The measure would have required developers to provide clear and convincing evidence in any new hard-rock mining proposal that the mine would not need the perpetual treatment of polluted water once mining operations end. Wildlife and environmental advocates backing the measure said it would have prevented mining companies from leaving behind permanent water pollution and saddling the state’s taxpayers with the costs of cleanup. Five mining companies funneled cash and services to the Montana Mining Association to argue that the measure’s language was vague and would allow environmental groups to sue to block any future developments.he measure, said he was pleased that Montana voters recognized there can be a balance between clean water, recreation and mining. Multimillion dollar campaigns targeted both measures. Altria, the parent company of Philip Morris USA spent $17 million to defeat the tobacco tax. The results mean the expanded Medicaid program covering 96,000 people will expire next year unless the Montana Legislature renews it. That sets up a potential repeat of the 2015 battle between the Republican-led Legislature and Democratic Gov. Steve Bullock before compromise legislation passed with bipartisan support. The initiative would have raised the state’s tax on a pack of cigarettes to $3.70, raised the tax on snuff and created a new tax on vaping products. Estimates had put the additional revenue at $74 million a year by 2023. Besides Medicaid expansion, the money would have gone toward other health and veterans programs and into the state’s general fund. Montana’s tobacco tax hasn’t changed since 2005. The most recent effort to raise it was shot down during the 2017 legislative session, with tobacco industry lobbyists playing a major role in its defeat. The industry-led campaign to defeat the measure argued that the tax hike would not pay the state’s entire share of the Medicaid expansion, creating an unfunded mandate of up to $34 million a year. Supporters of the measure, primarily health care organizations, say the opponents’ calculation does not take into account money saved by keeping people off traditional Medicaid or the premiums paid by the enrollees in the expansion program. The tobacco tax was one of four ballot measures that went before voters Tuesday.